ChildCostumes.com has wigs and masks to complete any costume. 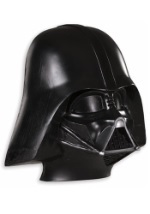 Our selection includes Star Wars masks and helmets as well as child sized wigs. Let your child's costume really shine when you add special accessories.